Today I have two easy throw pillow tutorials! 1 – Cut 3 15×15 inch squares of fabric (if your fabric has shrunk enough that you can’t quite fit 3 squares, cut one square at 15×15 and two rectangles at 15×13 or so). 2 – Take one of the 15×15 squares and sew the trim all the way around it. I found it was actually easiest to do this without pinning. Just place one end of the trim along one side of the fabric square, pom poms pointing in and right side of fabric up, and start sewing, about 1/4 inch from the edge. 3 – When you get to a corner, miter the trim. 4 – Continue sewing on trim until you get back to where you started. Slightly overlap trim, then cut off any excess. 5 – To make the envelope opening on the back of the pillow cover, grab one of your other fabric pieces. Fold the right side in (wrong sides together) 5 inches, so you now have a 15×10 inch rectangle. Sew as shown w/yellow dots. Repeat with the other fabric piece, but this time folding in from the left. 6 – Place your trimmed square down on the table, right side up. Place rectangles on top of the square, right sides down, one matching up with the left side of the square and one matching up with the right, to form an “envelope”. Pin very well, then sew all the way around, as shown by yellow dots. Sew 1/2 inch from the edge this time. 7 – Turn right side out and press. 8 – Slide in pillow form. 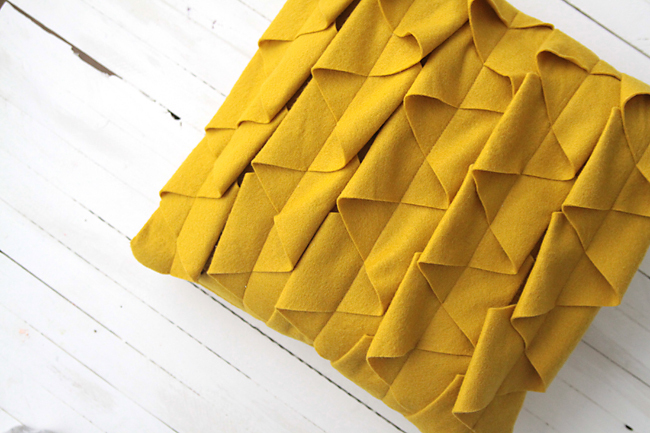 Here’s a close-up of the zigzag ruffle pillow. For this one you’ll need 1 yd of 36 inch wide wool felt and matching thread (you can find wool felt on the bolt at Joann Fabrics – it doesn’t need to be 100% wool, just have some wool in the blend). 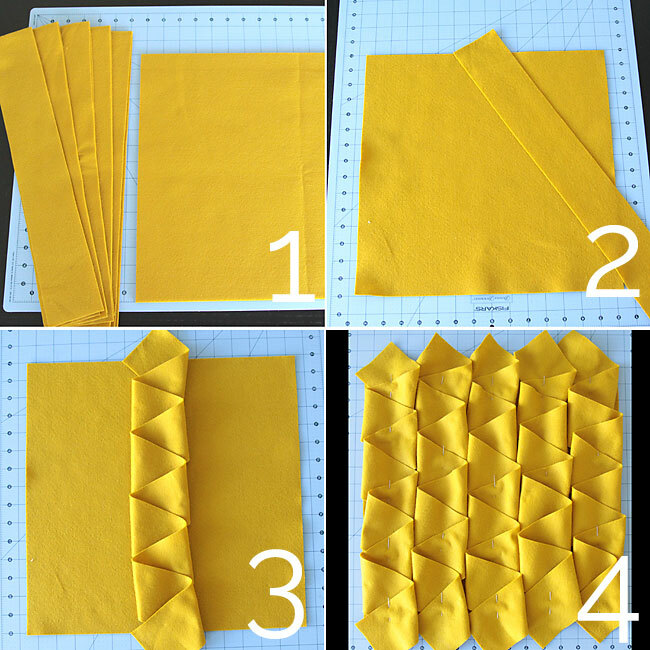 1 – Cut out 2 15×15 inch squares, and 5 strips that are 3 inches wide and 36 inches long. 2 – Lay out one square. Take your first strip and lay it diagonally out from the top center of the square, as shown. 3 – Zig zag the strip back and forth, making a ruffle, until it looks like the photo. Part of the strip should extend past the top and bottom of the square. 4 – Repeat with the four other strips as shown. NOT SHOWN: Scoot the ruffles in a little closer together, so you have 1/2 inch of open space on the left and right side of the square. 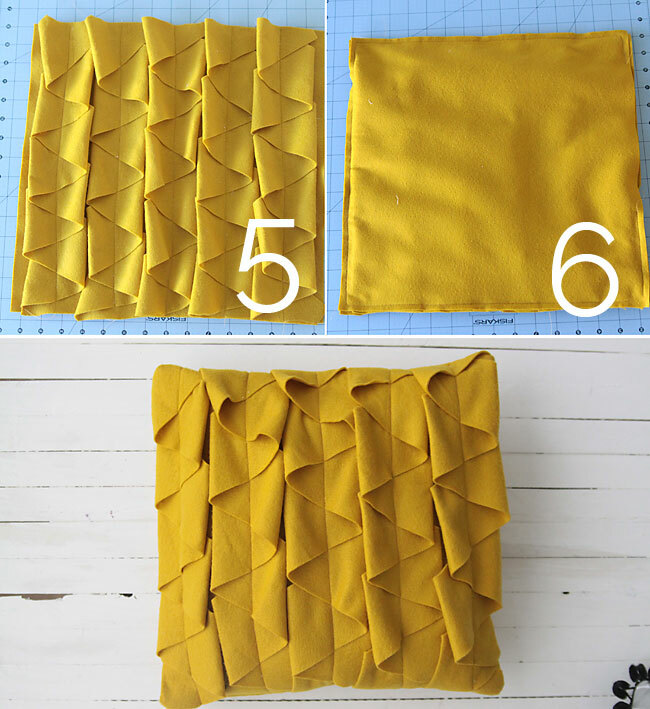 5 – Pin ruffles down, then sew a straight stitch down the center of each ruffle. Trim excess. 6 – Place other 15×15 inch square on top, then sew around edges, leaving about 6 inches open on the left or right side (not the top or bottom). To finish, turn right side out and stuff with polyfil or pillow form, then sew opening closed. Two new throw pillows with a little personality. 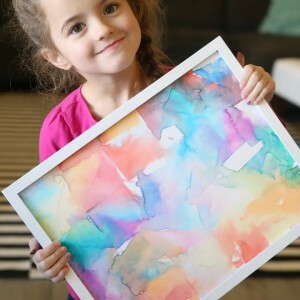 Don’t forget to click on over to Crazy Little Projects to see the other tutorials for this month and enter the giveaway. Thank you for the tutorial, I’m here from Crazy Little Projects, Sew Crazy Challenge! I’m thinking this is going to be my go-to for this month! 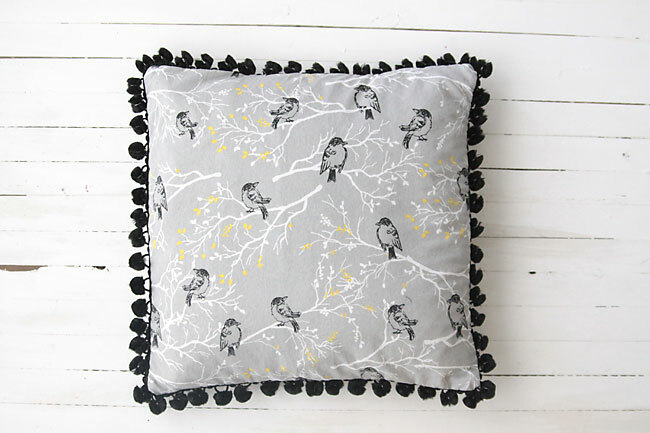 My couch is in dire need of coziness of pillows – and these are adorable and will be perfect. 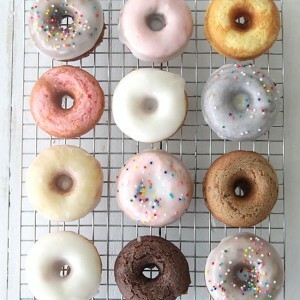 I also am a new follower of you on pinterest – a lot of things that I tagged for my (hopefully soon!) to-sew list! Fantastic! I’m glad you like the pillows and I’m happy to see you here! Hello, Thanks for the tutorial . I am here from the February challenge at Crazy Little Projects. The pillows look like a perfect project. 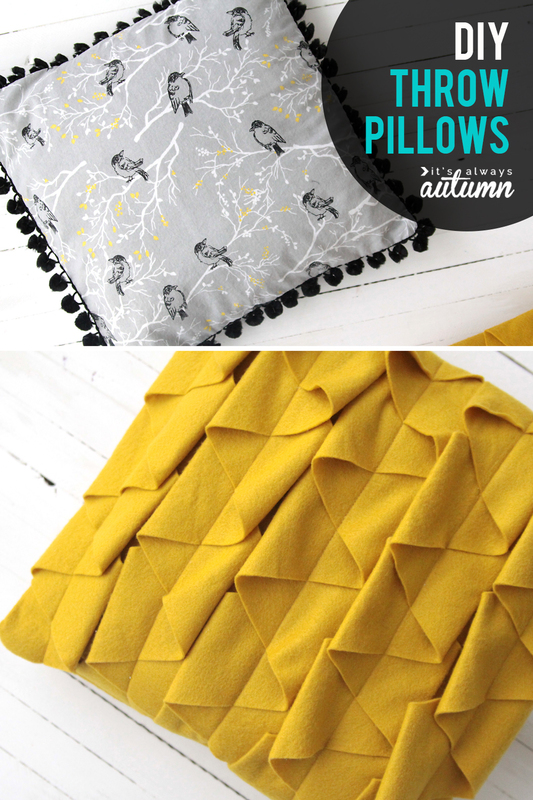 I am in love with the yellow wool pillow! I totally want to make one! I love the pom pom trim. It really takes it up a notch! def trying this out on my next pillow!! Can you use other fabric(s) besides wool to make the ruffle zig-zag pillow? Thanks! I used wool felt because the edges don’t fray. If you use a woven fabric (like quilting cotton) the edges will eventually fray and it will start to look shabby. You could try it with a knit fabric that doesn’t fray – the ruffles won’t have as much body though, so the end result will look a little different. I really think wool felt is your best bet for this specific design. Good luck! Thank you for your reply; your pillows are lovely! Thanks Sheree! 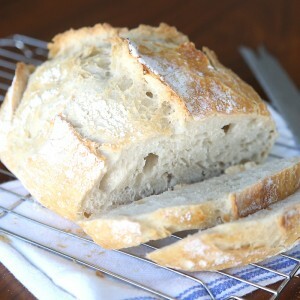 I wasn’t sure how it was going to turn out – I was just kind of experimenting – so I’m glad it worked!
. You can generate and store them in the batteries as back up. may work for more than one room. Oh my god, so cute! Now I know how to DIY the pillow covers and use them to decorate my home. Love it very much! Thank you for sharing experience! That is a cute pillow. But i think that it is a little small. Thanks for sharing your experience! You know, the first time I saw the title and the piece of yellow cloth, I think of leaves in autumn right away. Thanks for your tutorial. I have to do one for me now. 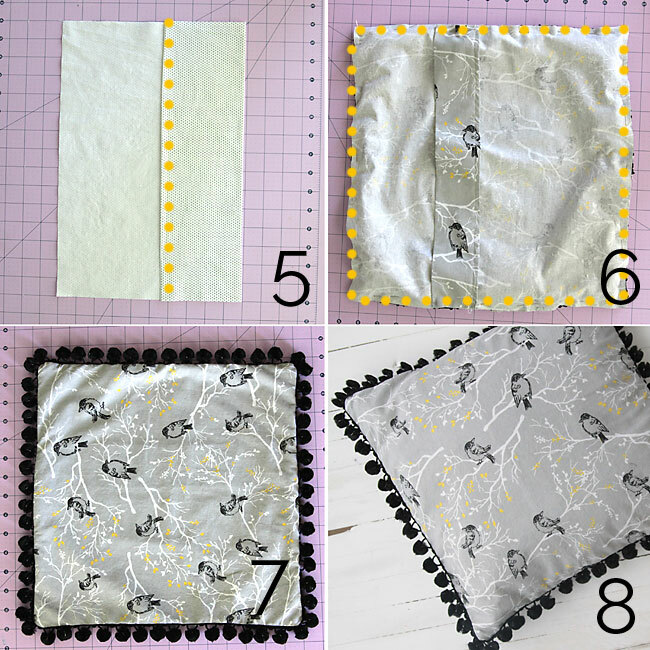 Your step by step tutorial has made sewing pillow covers quite easier. I am surely going to try this soon. My wife is very interested on decorative pillows and she often try to make these. I’ve given this tutorial to her and she really liked it . Specially the pom pom pillow ! LMAO! Our company name is RSN Xports located in Tamilnadu, India. We are a home textile and terry towel manufacturer and Exporter (Specialized in Knitted Pillows throw).We would like to establish a relationship with your company. we would like to give us an opportunity to supply our products to start our business relationship. You can also visit our website http://www.rsnxports.com to view our online catalogue. Expecting a positive response from you. Great blog post! 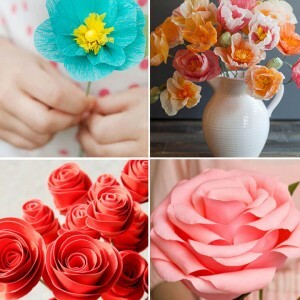 Easy, simple, affordable and charming patterns. Almost everyone can try these at their own. Thank you so much for sharing!